American Beauty director Mendes presents a vivid look at what it was like for US Marines involved in the Desert Shield/Storm engagement with Iraq in 1990-1991. At least, I am guessing that this may have been what it was like, as only those who were there could say for certain. The script by William Broyles, Jr. is adapted from one such Marine, Anthony Swofford. As played by Jake Gyllenhaal, Swofford is a gung ho regular Joe who sits firmly in the middle ground between the macho frat boy killers and intellectual protesters against the madness who seems to make up his onscreen battalion. Personally, I wouldn’t have wanted to be in Iraq and I definitely wouldn’t have wanted to be there with these jerkoffs, so it was hard to empathize at times. 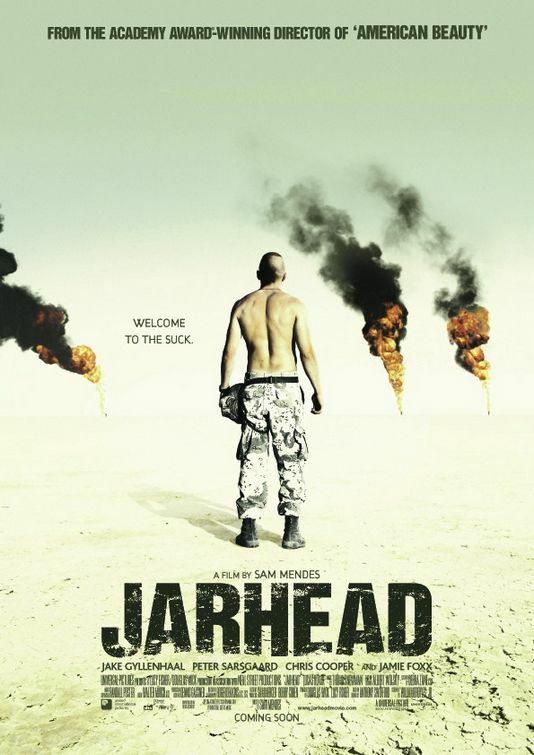 However, the cast (which includes Peter Sarsgaard, Jamie Foxx, and Lucas Black) is solid across the board and Mendes creates some astonishing tableaus; a scene with oil raining from the sky as the wells burn like pillars of fire in the background is both horrific and awesome at the same time. I’m not sure how much new ground is broken here, as War still seems to be Hell no matter when or where, but it appears to be an authentic, well-made document of one man’s experience of the conflict.